Banksy tagged - Both with & without, and P.O.W. Embossed stamp - Both with & without. 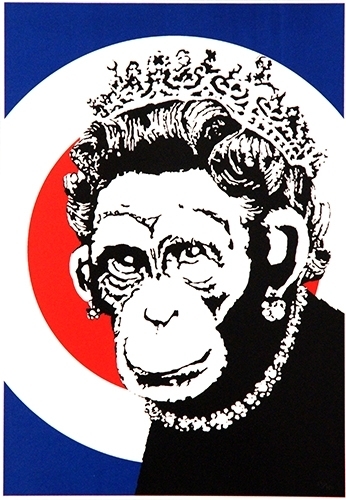 Old Banksy prints were an edition of i.e. 750, of that 750 total, 150 were signed, so what happened is we had an excel spreadsheet for turf war starting from number 1 all the way through to number 750, as people bought the prints their name was entered into the spreadsheet against the number they were given. There were two columns on the spreadsheet one for signed and the other for unsigned and as someone bought a signed print they were allocated the next number but a tick was added in the signed print column, this continued until 150 signed prints were sold. This was fine when we were selling 2 prints a week and I think you can understand why this is not the system we currently use. That’s why the signed prints of Turf War and Monkey Queen are out of 750.